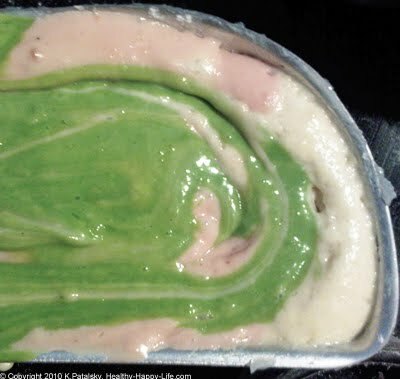 I was at Whole Foods, excited to gather ingredients for my veganized Swirled Easter Lamb Cake. I grabbed a box of the only liquid food coloring that I could find at Whole Foods. I wanted pink and green dyed cake - and fast! The brand I found had lovely natural ingredients and I had heard good things about these dyes, but I knew I was being lazy (I could easily make pink and green myself). 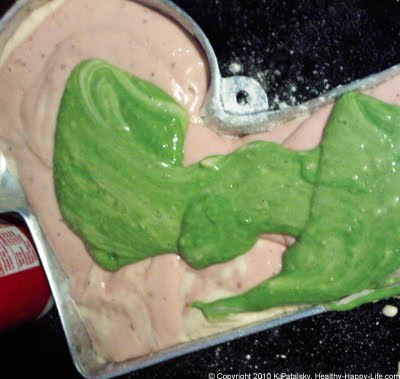 For my cake I needed green and pink. Green: kale juice extracted from my juicer. 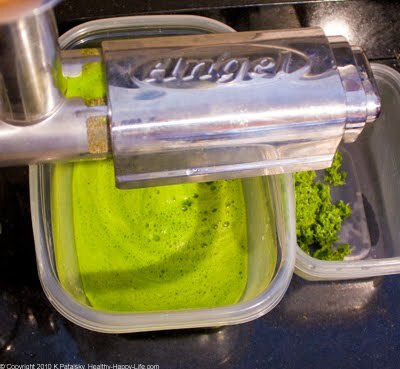 I only needed about 2 tsp of kale juice to get a very rich pastel green color. Process: I used my juicer. 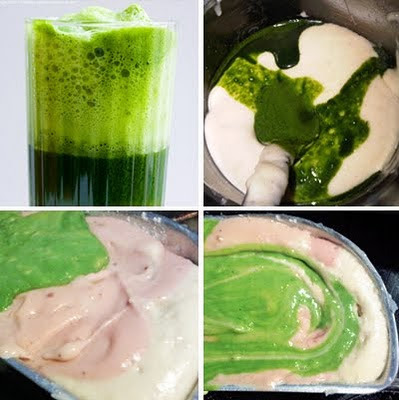 This is the easiest way of extracting a thin juice color. 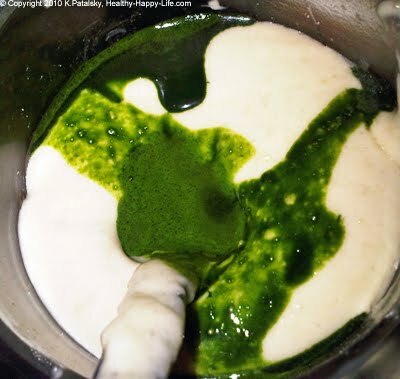 You can also boil your ingredients in very shallow water and use the strained colored water from that. Or you can smash soft fruits/veggies and strain the juice away from the pulp. 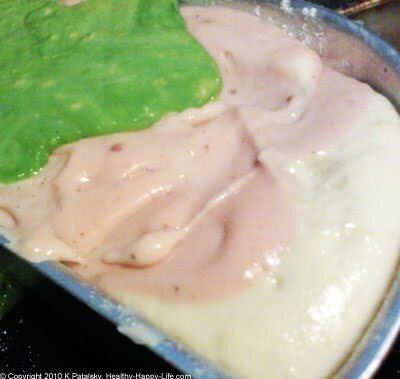 *You can also blend berries directly into your batter - like i did with my red current "pink" batter. Just be sure to account for them in the recipe and make alterations if needed. Choose produce that is dark and concentrated in color. For example, choose dark kale as opposed to light kale. Choose dark-skinned grapes as opposed to light-skinned/translucent grapes. 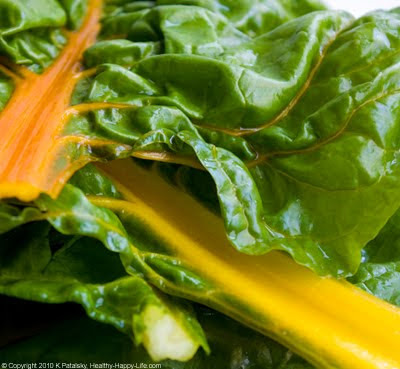 The bright beautiful colors will come from the rich pigments in the produce skin and flesh. You also want to choose fruits and veggies that are known for staining. Think of all the clothes and hand stains you've had from produce: grape juice, tomato sauce, beet juice stained hands. Those "staining" fruits and veggies are perfect for this purpose! Vinegar? 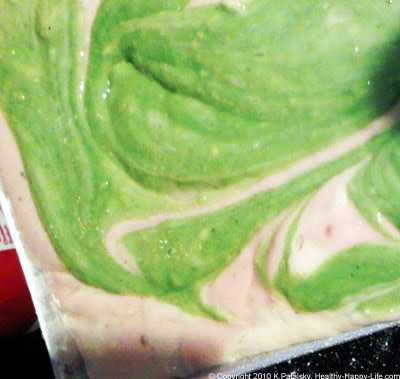 Some natural food coloring recipes call for adding vinegar to your recipe. I personally just use the juice as is, but you can experiment with what works best for you and your specific recipe. But Won't this Change the Flavor of my Recipe? Good question, but surprisingly, these small hints of food "dye" do not change the flavor of a large batch of batter all that much. 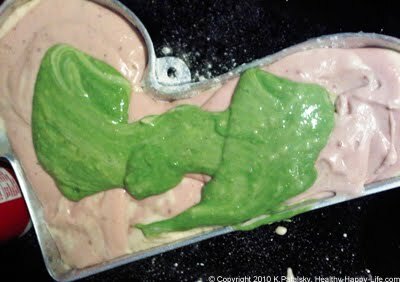 My "kale" stained batter did have a slight savory-grassy hint to it, but it was nothing to change the true flavor of my cake. 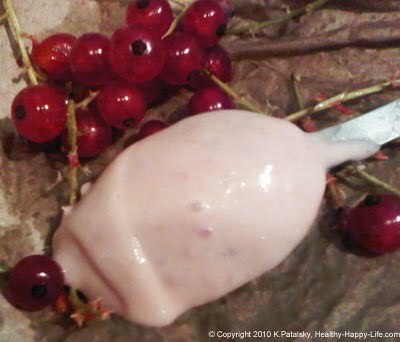 And my "pink" batter did have a slight sweet-tart flavor, but I think this was because I blended in whole red currents instead of juicing them to extract the color. My answer is no, if your extracts are concentrated enough, you will only need a tiny bit - and the flavor impact will be minimal. And a little beet or kale juice in a colorful cake never hurt anyone anyways! Good Luck and Happy Colors! FYI on Easter Eggs. I know a lot of you are vegetarian or flexitarian's and may still be into Easter Egg dying - well FYI, you can probably choose these all natural colors in place of the fake stuff.